Just wanted to let everyone know about my latest big Pocket Thoughts project, aside from the regular zine series. 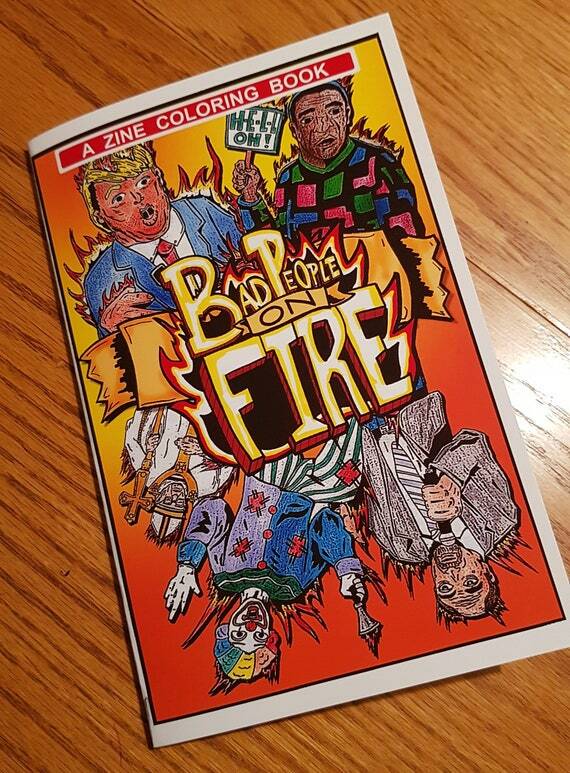 BAD PEOPLE ON FIRE is a zine coloring book, full of drawings of awful people engulfed in flames. People have told me it’s cathartic, therapeutic, relaxing, and just what they need after a bad day.